I can’t remember exactly when I saw my first Laurel and Hardy film, but I do know it was at my nan’s house and it was Way Out West. What comes back to me most strongly, is just how much I laughed at “The Trail of the Lonesome Pine” bit. However, beyond an appreciation for their comedy, I’m definitely no die-hard fan. When a biopic was announced, it didn’t even register on my radar until fairly close to release. Just to be clear, this wasn’t a big one to watch before I went in. The first thing to note about Stan & Ollie, is that it’s not a conventional biopic – that is, it doesn’t go the Bohemian Rhapsody route and do all the big things that everyone remembers with little regard to story. Here, aside from the opening and a few flashbacks, the story concerns Laurel and Hardy – played here by Steve Coogan and John C Reilly respectively – in their later years, during what would become a farewell tour of the UK. Given that Laurel and Hardy are such iconic figures as a double act first and foremost, anything less than perfect chemistry between the two leads would have led to a mess of a film. Coogan and Reilly more than look the part here thankfully, and they play off each other effortlessly. 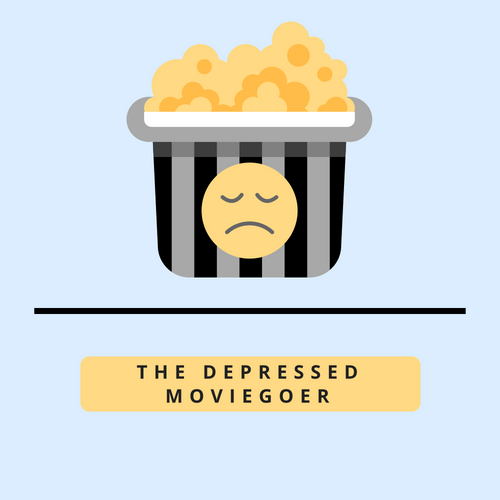 There’s a moment late in the film when one of the two pulls out of a show in London, and thanks to the conviction with which both roles are played I felt the absence far more strongly than I would have otherwise thought. The performances across the board are brilliant too, with the roles of Laurel and Hardy’s wives an absolute stand-out. What could have ended up being thankless roles for Nina Arianda and Shirley Henderson – playing Mrs Laurel and Mrs Hardy – are in fact much more deeply realised than this kind of film usually goes for, and in fact they’re formidable characters in their own right; no nagging or disapproval to be found here. As Rufus Jones’ character puts it at one point, it’s two double acts for the price of one. 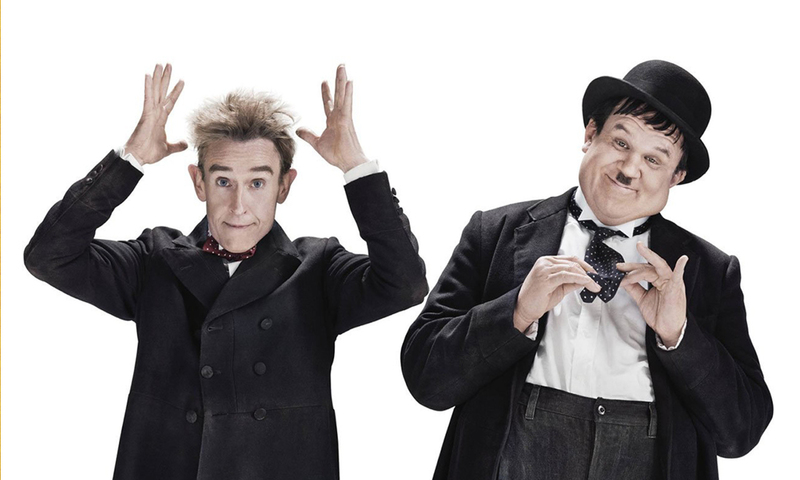 Stan & Ollie of course is obliged to recognise the duo’s comedy, and rather than stitch a timeline together based on films or performances, the film instead takes their most famous skits and plays them against the running storyline. Bits of their films are re-enacted on stage (most prominent is the hospital visit from County General) and one scene on the road calls back to the central joke in Music Box. These and others are loving recreations which add to the story, rather than distract attention away from it. Even when the film decides to introduce an act that was never part of Laurel and Hardy’s repertoire – a sequence referred to on-screen as the ‘double door’ routine – it feels right, and both actors’ physical comedy during the bit only helps to sell it. There wouldn’t be much of a story without any tension though, and for all of the laughs in Stan and Ollie there are of course heavier subjects given focus here too. The relationship between Laurel and Hardy in their later years is clearly strained, and while neither figure is outwardly yearning for a return to the glory days, both Coogan and Reilly’s performances offer little doubt that there was some resentment between the two for how their careers went in the decades preceding this film’s story. The cast’s dramatic chops are fully on display by the end of the film, and it’s a testament to the director and writer that Stan & Ollie never threatened to become a slog of a watch. The film is in fact kept pretty tight in all areas; its conservative 90-ish minutes running time makes the whole thing refreshingly nimble for this kind of film. By paring the film down to its most essential story beats and performances, we the audience are saved any potential filler material. I’ve no doubt that this will go down well with Laurel and Hardy purists, and while for the most part it’s been overlooked through awards season to date I hope that this film finds an audience. In short, Stan & Ollie is a sweet, funny film that for a little bit of time at least helped me forget about the January Blues and easily one of the better biopics I’ve seen. Shame about that moustache though.